The overview below shows the available documentation as well as which format and language they are available in. Please note: In the case of the User Manual, you may find more content in the HTML-version when it comes to technical reference material. The Getting Started goes through the basic usage of both FlexGui and FlexGui Toolbox. The guidance-level in this document is high, and is therefore nice place to start for new users. 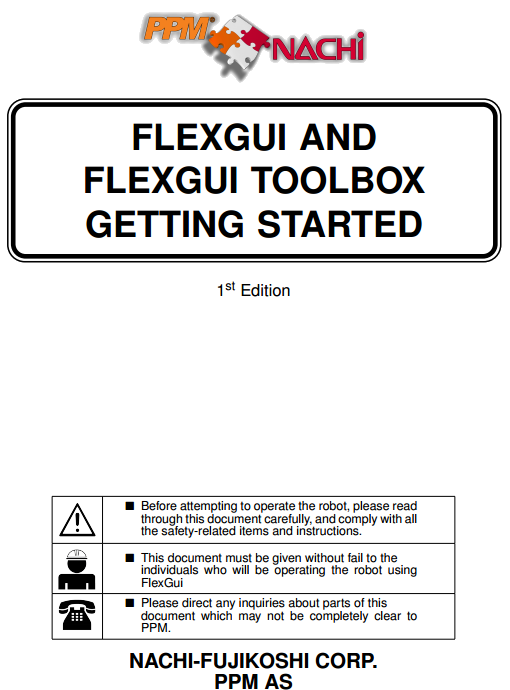 The User Manual covers several topics related to FlexGui and FlexGui Toolbox, and is the most extensive document available. Basic usage, programming, file transfer, backup and restore, remote view, setup and configuration, licensing, FlexGui Anywhere and updating. 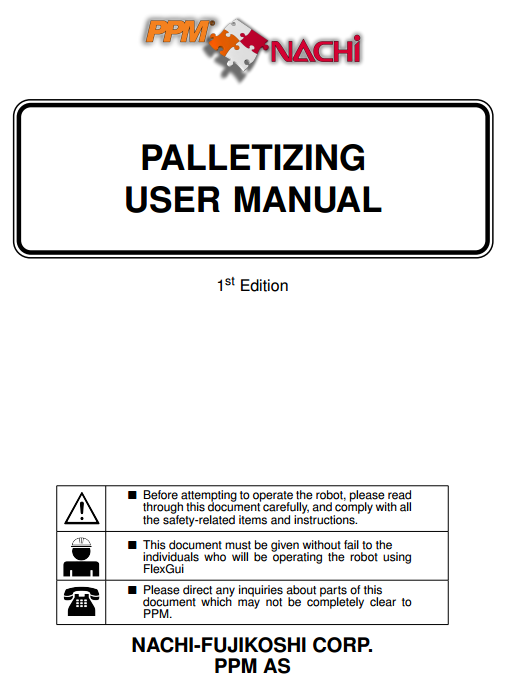 This is a user manual for the Palletizing feature of FlexGui. 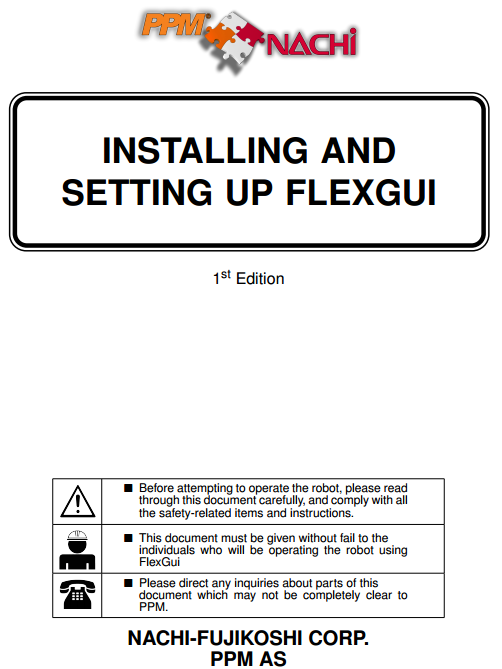 It is recommended to read the FlexGui user manual before reading this, for referensive purposes. 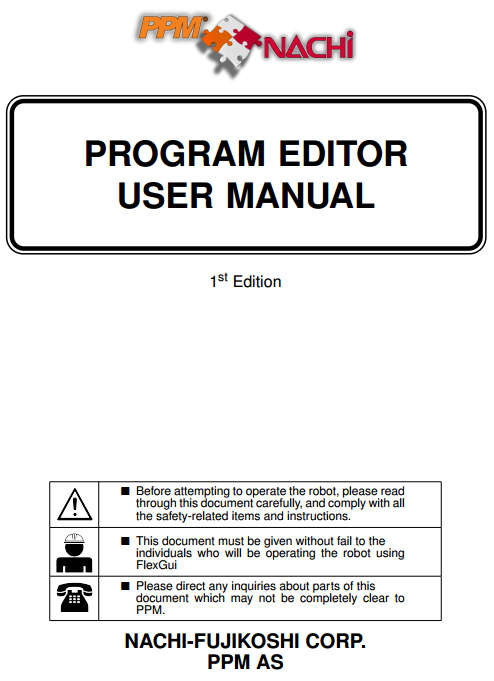 The Program Editor User Manual is covers several topics related to FlexGui Program Editor. It is recommended to read the FlexGui User Manual before reading this manual. Lastly, here at PPM we also believe in learning from examples. Therefore, you may also check out our downloadable examples.